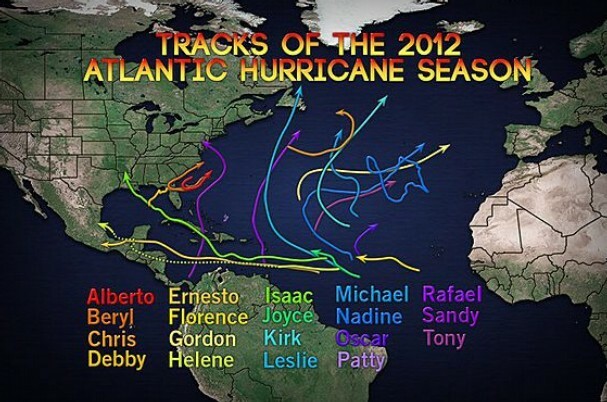 Hurricane Season begins June 1st, and I want to get to some of the seasonal forecasts that have been put out. 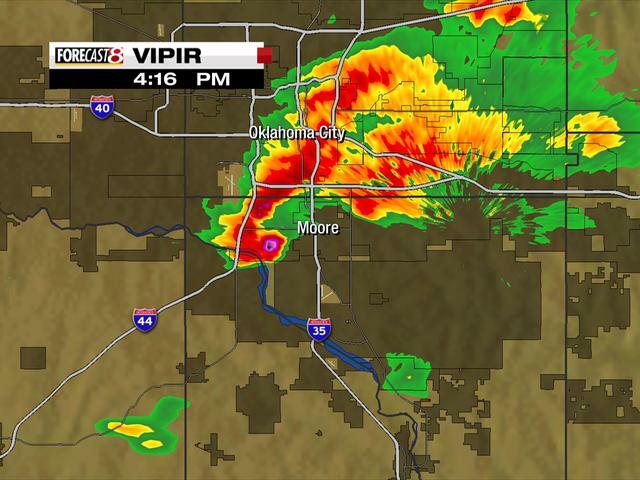 Before that however I want to share a radar image from the Moore, OK tornado. It is quite typical for tornado to appear in the hook emerging from the southwest corner of the storm. You can clearly see that hook in this image approaching Moore. The pink and purple circle of radar returns embedded in the hook is the debris ball: large items picked up by the twister appearing on radar! Now down to business. The 2013 hurricane season begins Saturday and the tropics are already beginning to show signs of life. As of this moment Tropical Depression Two is in the eastern Pacific. For this post though I will just be covering the Atlantic Basin. With each approaching hurricane season I look to two sources for forecasts; Dr. William Gray of Colorado State University and the NOAA Climate Prediction Center. Dr. William Gray is a professor of Atmospheric Science at CSU and has been the preeminent man for seasonal hurricane forecasts for decades. His forecast process is complex and new forecasts are issued several times a year, including the October before a season and a mid-season revision. For the full paper on this season’s forecast, authored by Dr. Gray and Dr. Phillip Klotzbach, follow this link. As of last month, Gray and Klotzbach are forecasting an above-average season. To break it down, they forecast 18 named storms (average is 12), 9 hurricanes (average is 6.5), and 4 major hurricanes (average is 2). A major hurricane is a Category 3 or above. So what predictors do Klotzbach and Gray use to make these forecasts? 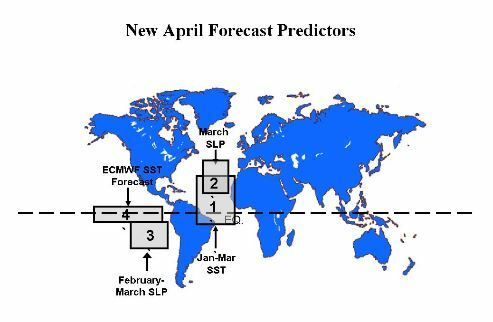 For their April predictions they look at Atlantic Sea Surface Temperatures (SST), North Atlantic and South Pacific Sea Level Pressures (SLP), and the El Nino forecast for the upcoming season. The El Nino forecast is made using the European Model’s SST forecast for the equatorial Pacific. The European Model being the most accurate forecast model at this time. The global climate system is full of long-range teleconnections (the relationship between atmospheric anomalies separated by thousands of kilometers). Most everyone has heard of El Nino’s effects around the globe, but there are plenty of other anomalies that have significant impacts. This includes the North Atlantic and the Madden-Julian Oscillations. I hope to cover these more closely in a later post but for now you should know that they impact SSTs, SLPs, and storm tracks. Gray and Klotzbach’s research forecasts show the importance of understanding these teleconnections and the effects they have on local climate. For the Climate Prediction Center’s full discussion click here. Impacts of a positive El Nino signal around the globe. In my next post I’ll be covering how El Nino (or La Nina) conditions impact hurricane frequency and intensity in the Atlantic. Exciting posts to come please keep reading!